Taipei, Jan. 31 (CNA) The World Conference of Mayors, Inc. (WCM) passed a unanimous resolution Wednesday in Miami to support Taiwan's participation in international organizations. 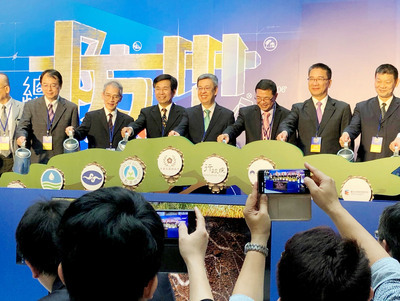 At its 2019 collaboration conference of incumbent and former mayors and other public officials, the WCM said in the resolution that Taiwan maintains a long-term relationship with WCM member cities and countries and can make important contributions to the global community. The "Resolution Enhancing the Friendship and Bilateral Relationship between Taiwan and the World Conference of Mayors, Inc." expressed support for Taiwan's meaningful participation in Interpol, the World Health Assembly, the International Civil Aviation Organization and other United Nations affiliated global bodies. WCM founder Jonny Ford on Wednesday presented a copy of the resolution to David Chien (錢冠州), head of the Taiwan mission in Miami, saying that the resolution manifested a long history of close and mutually beneficial relations between his organization and Taiwan. The WCM resolution was put forth to commemorate the 40th anniversary of the United States' Taiwan Relations Act, which provides a foundation for maintaining peace, security and stability in the Western Pacific and promotes commercial, cultural, and other relations between the U.S. and Taiwan. The 2019 WCM conference is being held Jan. 30 to Feb. 2 in Miami, Florida, for members from the U.S., Asia, Africa and the Caribbean, with the aim of building relations among mayors and other local public officials internationally, according to the WCM website.